The Cooper City Auto Accident Attorney you can trust is at the Law Offices of Robert E. Gluck, P.A. An auto accident can be a devastating event in anyone's life. 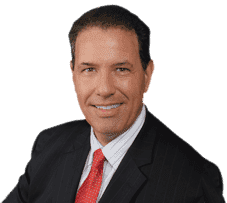 Being a lawyer since 1989, Robert Gluck has the experience and skills to provide you with the personalized attention and legal representation you'll need during this difficult time. Only a highly experienced Cooper City Auto Accident Attorney will know the first step needed in a case like this is to open a full investigation into the claim. Robert Gluck will take photographs of the accident scene, find and speak with witnesses, assess any property damage, and obtain any further evidence he believes will be an integral part of your case. During the progress of your case, your Cooper City Auto Accident Attorney Robert Gluck from the Law Offices of Robert E. Gluck, P.A. will make sure you understand all the details so you can rest assured you will be in great hands. He will take care of all legal proceedings for you so you will only have to focus on your road to recovery. When you're injured in an auto accident that is caused by someone else where negligence existed, you deserve financial compensation for your medical bills and recovery for your injuries. Your Cooper City Auto Accident Attorney will work hard to get you what you deserve so you can get back on your feet and move forward with your life.